This separation began almost 400 years ago and has now grown into entirely separate systems of care that hardly communicate with one another. This artificial separation of mental from physical problems consign the clinicians in each arm of this dichotomy to a misconceived and incomplete clinical reality that produces duplication of effort, undermines comprehensiveness of care, hamstrings clinicians with incomplete data, and ensures that the patient cannot be completely understood. Integrated care seeks to close the division between mind and body. It imposes the patient’s perspective as the organizing principle of service delivery and makes redundant old supply-driven models of care provision. Integrated care enables physical and mental health provision that is flexible, personalized, and seamless. 84% of the time, the 14 most common physical complaints have no identifiable organic etiology. 80% of people with a behavioral health disorder will visit primary care at least one time in a calendar year. 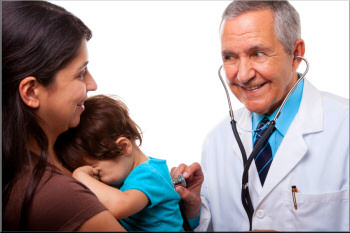 50% of all behavioral health disorders are treated in primary care. 48% of the appointments for all psychotropic agents are with a non-psychiatric primary care provider. 67% of people with a behavioral health disorder do not get behavioral health treatment. 30-50% of referrals from primary care to an outpatient behavioral health clinic do not make the first appointment. Two-thirds of primary care physicians (PCPs) (N=6,660) reported not being able to access outpatient behavioral health for their patients. Shortages of mental health care providers, health plan barriers, and lack of coverage or inadequate coverage were all cited by PCPs as important barriers to mental healthcare access. Medical use decreased 15.7% for those receiving behavioral health treatment, while medical health use increased 12.3% for controls who did not get behavioral health. Depression treatment in primary care for those with diabetes had $896 lower total healthcare cost over 24 months. Depression treatment in primary care had $3,300 lower total healthcare cost over 48 months. Behavioral Health disorders account for half as many disability days as all physical conditions. Annual medical expenses — chronic medical and behavioral health conditions combined — cost 46% more than those with only a chronic medical condition. Of the top five conditions driving overall health cost (work related productivity + medical + pharmacy cost), depression is number one. The Patient-Centered Primary Care Collaborative supported by the several primary care associations, includes 14 state health home projects with solid results: Benefits of Implementing the Primary Care Patient-Centered Medical Home: A Review of Cost & Quality Results, 2012. Studies indicate that the North Carolina health home program saved the state $60 million in Medicaid costs in 2003 and savings increased to $154 million in 2007. Pharmacy costs were reduced by 23.4 %, general hospital costs were reduced by 6.9 %, and included with other changes, resulted in reduced costs overall of 16 %.